"Riveting in plot and profound in portrait...an extraordinary debut"
​After a long career as an aid worker, Sabine Hardt has retreated to her native Germany for a quieter life. But when her American niece Lily disappears while volunteering in Uganda—possibly investigating the illegal ivory trade—Sabine must return to places and memories she once thought buried in order to find her. In Uganda, Rose Akulu—haunted by a troubled past with the Lord’s Resistance Army and a family torn apart by war—is distressed when her lover Ocen vanishes without a trace. Side by side, Sabine and Rose unravel the tangled threads that tie Lily and Ocen’s lives together, ultimately discovering that the truth of their loved ones’ disappearance is inescapably entwined to the secrets the two women carry. From the streets of Kampala to the wilderness of Garamba National Park in the Democratic Republic of the Congo, The Atlas of Forgotten Places spans geographies and generations to lay bare the stories that connect us all. Read a sample: Read the first chapter for free on Kindle. Book club alert: Check out these discussion questions to get the conversation started. Take action: Learn about how you can support organizations fighting the illegal ivory trade and engaging in humanitarian work across Africa. ​"The Atlas of Forgotten Places is a thriller that sweeps the reader into intrigue, adventure, and mystery. In the tradition of socially influential writers, from Shakespeare to Graham Greene, Jenny Williams employs exciting fiction to convey truths about the political, corporate, and economic systems that impact us all." "This novel is nothing short of astonishing—a remarkable debut with an extraordinary and nuanced grasp of Sub-Saharan Africa's brutal and horrific civil wars. I was very moved by this outstanding novel and highly recommend it." "The Atlas of Forgotten Places is a beautifully written, all-engulfing novel about our responsibility for each other and the faltering ways in which we try to help." "I've never been to Uganda, but thanks to Jenny D. Williams's empathic novel, The Atlas of Forgotten Places, I feel like I have. The novel's setting may be unfamiliar to many readers, but its themes--justice and forgiveness and love--will resonate with everyone." 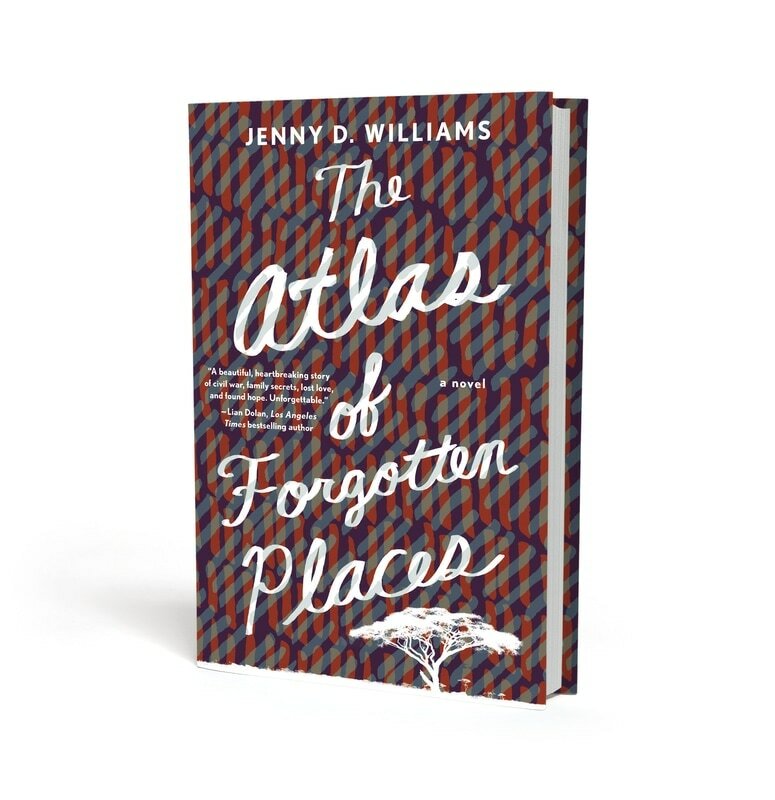 "In The Atlas of Forgotten Places, Jenny D. Williams takes readers to places most have probably never seen, from the labyrinthine streets of Uganda’s capital city to the leafy, hippo-bedecked riverbanks of the Democratic Republic of Congo, with a tale that bravely explores the eddying costs of personal atonement."